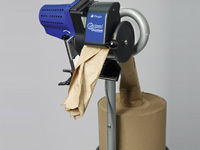 Products - DBR Industries, Inc.
Products Available at DBR Industries, Inc.
At DBR we carry a large assortment of packaging materials, making it easy for you to get what you need, how you need it. Our large inventory means that we can provide most of our products with short lead times, meaning we can meet your packing needs in time for your deadline. 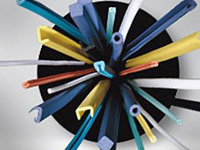 We carry various thicknesses and roll widths of polyethylene foam, as well as anti-static foam for use with sensitive electronics. Thicknesses DBR consistently has in stock are 1/32”, 1/16”, 3/32”, 1/8”, 3/16”, 1/4" and 1/2”. 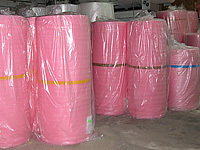 All polyethylene foam thicknesses are available in 48”, 60” and 72” wide rolls. 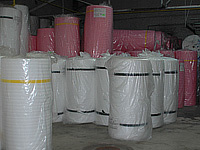 DBR is able to custom convert rolls of polyethylene foam to your specific needs. 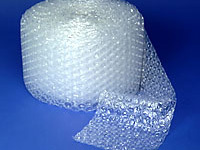 DBR offers customers a wide assortment of bubble cushioning wrap. 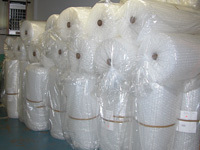 Bubble is available in 1/8”, 3/16”, 5/16” and 1/2". The roll widths available are 48”, 72” and 96”. 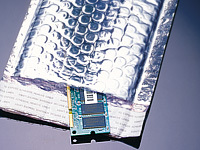 DBR also stocks adhesive and cohesive bubble, as well as anti-static. All bubble cushioning can be custom converted to suit nearly any need. Microfoam sheet foam has unlimited applications across a wide range of industries, and is the only food-grade foam. 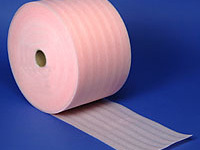 Microfoam is available as a polypropylene sheet roll and in laminated forms and is the only low density polypropylene sheet foam product on the market. The high coefficient of friction provides unmatched protection for easily scratched surfaces, and the chemically inert material will not tarnish or corrode sensitive metals. 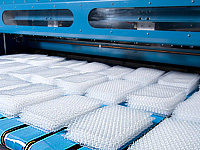 Microfoam is low density and lightweight, making it easy to move while packaging and cheaper to ship. Microfoam readily accepts labels and tape, even less expensive adhesives that will not stick to polyethylene foam. This means it can also be laminated to a number of substrates to meet specific needs. 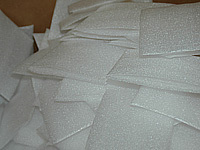 We offer sheet foam laminated to kraft, linerboard, non-woven, film and cohesive materials. Additionally, Microfoam is mildew, moisture, and fungus resistant, which means it is safe for the packing of live plants and flowers. Microfoam sheet foam has a high melting point of 320°F, meaning it can perform reliably from -250°F up to 250°F. 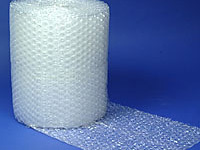 In addition to polyethylene foam, bubble packaging, and Microfoam DBR offers a variety of other packaging materials to suit your needs. We stock numerous sizes of cushioned mailers, including kraft bubble mailers, poly bubble mailers, padded mailers, Poly-Lite envelopes and chipboard mailers. We also carry foil bubble bags in a variety of sizes, including custom, made-to-order sizes. 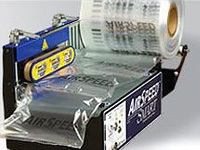 Additionally, we carry Pro Flex Profiles, AirSpeed air pillow machines, GeoSpeed paper packaging systems, and numerous other packing products. Please contact us at 773.583.6400 for the full list of products we can acquire to help suit your packaging needs.